Hot spiced wine is a traditional French party drink around this time of year, when short days and long nights inspire those of us in northern realms to light up our homes and invite some friends to brighten the gathering dark. 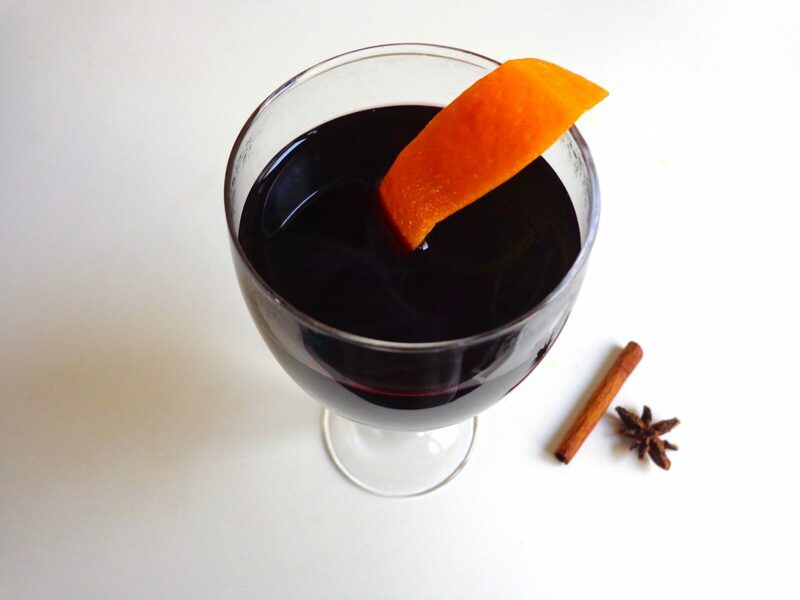 The making of the drink is a party in itself — take some wine, add cinnamon sticks, peppercorns, cloves, star anise and orange peel, and heat it just long enough for the flavors to meld. For an extra kick, throw in a little brandy. Another tradition in France in December is the advent calendar, usually a decorated box with 24 little windows hiding chocolates inside, with one to be opened each day until Christmas — a way to make it easier for the younger generation to wait for the big day. This year, one village in eastern France decided to have a living advent calendar — each day from Dec. 1 to 24, one household throws open its doors and invites the rest of the village over for hot spiced wine. What a great idea! Another idea, for a low-key present, could be to give a bottle of wine with a pretty little bag attached containing the other ingredients for hot spiced wine, along with the recipe. I just may do that myself this year. Friends, be forewarned. As you can imagine, the French were not the first to concoct hot spiced wine. It apparently originated with the Romans, who called it conditum paradoxum. As far as I can tell with my rusty Latin, that translates as ‘paradoxical spices’. But there’s nothing paradoxical about this drink. Take a sip, and you feel happy. When you’ve had a full glass, you feel very happy indeed. As the merriment spreads among those gathered, tip your hat to the Romans, the French and — why not? — to all humanity. ‘Tis the season of good cheer, so here’s a toast from Paris. In our rough, mean, overheated world, let us all try to be human together — and let the planet live happily ever after. 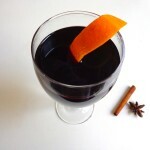 This entry was posted in Drinks and tagged cinnamon, cloves, drink, hot wine, orange peel, peppercorns, recette, recipe, spices, star anise, vegan, wine. Bookmark the permalink. I forgot to mention – I did add the cognac, which made it even better. I tried the recipe exactly as written on New Year’s Eve. One bottle of wine worked to greet our six guests – and it was delicious. Next time I’ll increase the quantity, and plan to serve it through the evening. Merci bien for the recipe. Caroll, great! I’m so glad it worked out. I love your site and visit it often. I would like to make your spiced wine recipe and am wondering if the orange peel slice is supposed to be devoid of the pith. Also, does honey work well in place of the sugar? Thank you for your wonderful site and have a Merry Christmas!